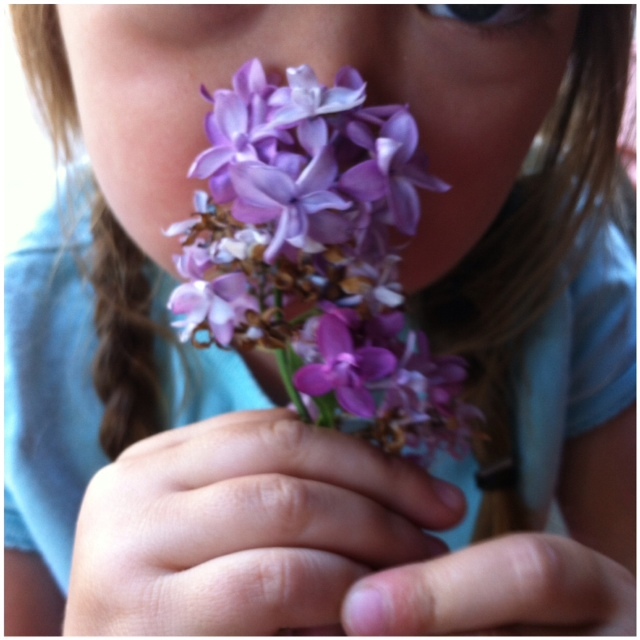 Right now when you step out our back door you are hit by the heavenly smell of lilac. The lilac bush in our back yard is in full bloom and I wish we had some kind of scratch-n-sniff screen so we could share the smell of spring with you. The girls and I have spent almost every afternoon this week playing in our backyard and stopping every so often to just smell the flowers. I'm so jealous! I wish we had lilacs. Maybe one day.